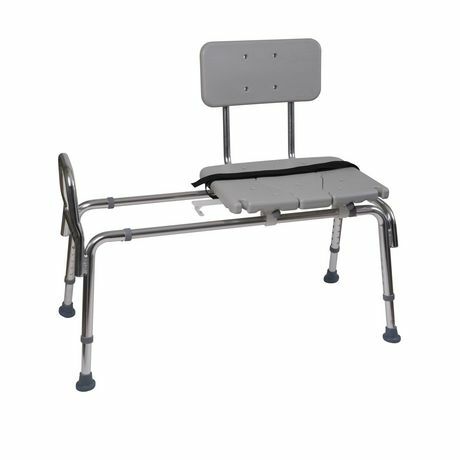 39" x 18" x 37"
This best-selling sliding transfer bench will provide welcome relief and increased independence for those who have trouble getting in and out of the shower, standing for prolonged periods or worries about falling. You can shower with confidence knowing you have a stable platform to sit on! Position one end of the bench outside the shower and the other end inside, making sure the legs are stable. Sit on the seat and easily slide across into the shower. Caregivers will find it especially helpful in transferring people using wheelchairs or walkers with this back-saving aid. 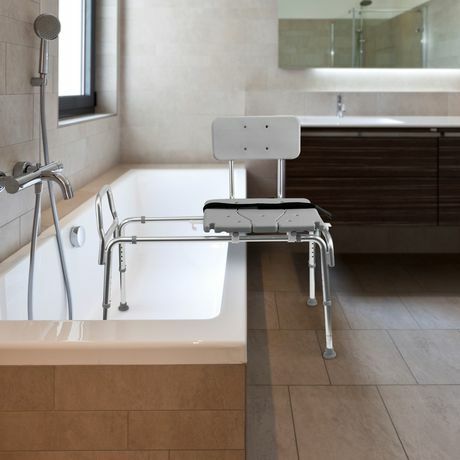 This durable shower chair will make bathing much easier and safer for people with disabilities, older people or those recovering from surgery or injuries. 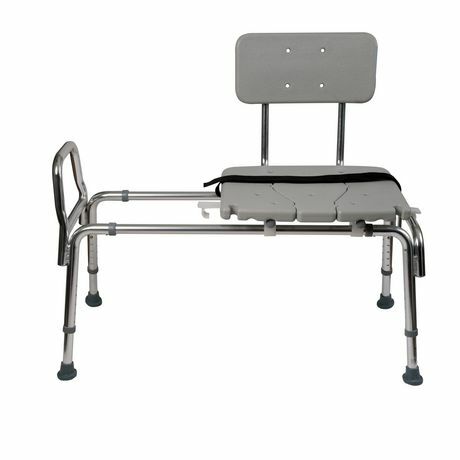 The seat easily slides, minimizing physical strain on the user and caregiver. The backrest, which can be positioned for left or right hand use, provides additional support along with a seatbelt for safety. 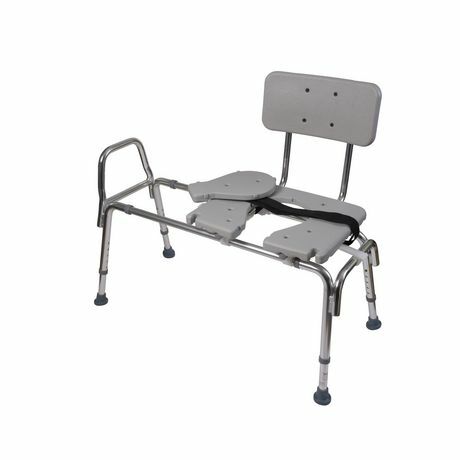 •Seat slides from side to side, minimizing physical strain or user or caregiver. •Textured plastic seat and back provide a non-slip surface; nylon strap locks and holds seat in place. 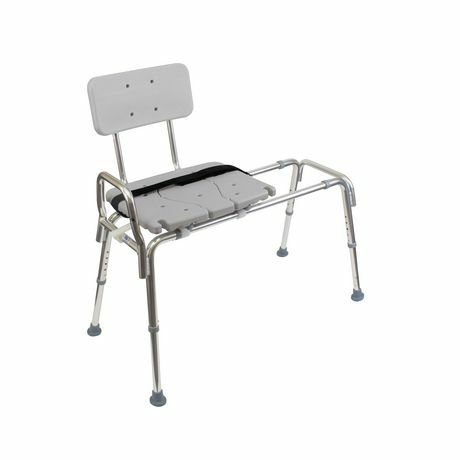 •Durable, lightweight aluminum frame makes it easy to lift and move. •Seat height adjusts from 19 to 23 inches in one inch increments; seat size: 19 x 14 inches. •Adjustable legs with suction cup, slip-resistant tips give more stability. •Cut-out easily removes for perineal access.